The Lunis are to be found in the Duki Tahsil of Loralai. They are descended from Miani and are, therefore connected with Jafars of Musa Khel. Living near the Baloch and being constantly at feud with them, the Lunis appear to have adopted the arbitary distribution of their component groups into large clans or divisions, which is common among the former. The tribe was. therefore divided into three main clans - Drigzai or Drugzai , Palao and Rakhanwal.The Patozai who are Kakars and the Laths who are probably descended from another branch of Luni, Latz by name, are aliens. beside these it is alleged that the Ghorani and Shudiani sections are also aliens (waslis) while the Mirzai-Drugzai claim Syed descent and are treated with respect by Lunis. According to local accounts , the Lunis are descended from Laun, Durrani. Originally they were a pastoral tribe and used to come down from Khorasan to graze their flocks in Baghao, Rarkan, Kingri etc, returning to Khorasan for the Summer. The eldest son of laun was Shame . from whom are descended the Shamezais who are the chief's family. After Shame, the chief of the tribe were successively Abubakar, Hatang, and Haider. In the time of Ghazi Khan, son of Haider, a few of the Lunis remained behind in Rarkhan, while in the time of his son successor Muhammad Khan , the migration back to Khorasan entirely ceased. Muhammad khan founded the village of Kot Khan Muhammad in Kingri. Muhammad Khan had seven sons, of whom Dost Mohammad migrated to Dera Ghazi Khan, and Perag Khan commence cultivation in Rarkan, Rara Sham etc. The Lunis came into collision with Musa Khels at Hazargat on the Luni river, and in one of the fights 400 Lunis were killed when the remainder moved to Chamalang and Nathi-ki-chap, Perag Khan had two sons, Jalal Khan and Paind Khan , and on the former's death Paind khan became the chief as Samander khan, son of Jalal Khan, was a weak man. Paind Khan collected a force of 800 men , and attacked some Marris who were living with the Khetrans. Babul Khan, Khetran, claimed the restoration of property looted, but the Lunis declined to give it up. In the fighting which ensued, the Lunis were at first successful , but the Khetrans and Marris at length collected in such large force that Lunis were obliged to retire towards Lakhi. 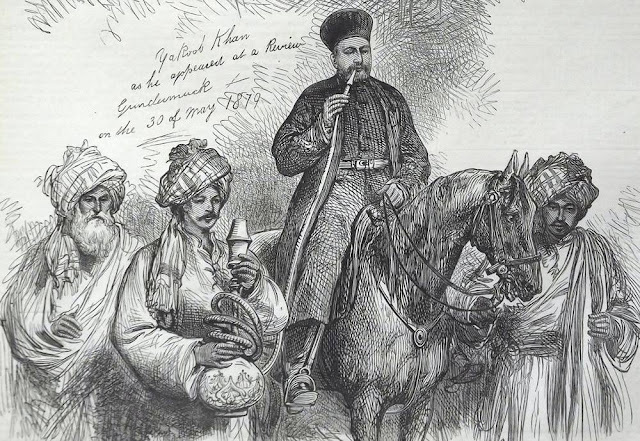 Paind Khan was succeeded by Samander Khan, and on the latter's death in 1893, Sardar Nawab Khan became the chief and was the given the title of 'Khan Bahadur' in 1900. It was in the year 1873 that the headmen of Lunis met Captain Sandeman and asked him to procure for them the service which they formerly held under the Sikh government for the protection of trade route to India. A brigade of troops marched through their country in 1880 and Samander Khan, with a party of sowars accompanied them as far as Girda Kach.